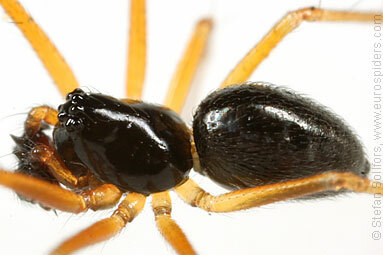 Female obscuriphantes obscurus from above. 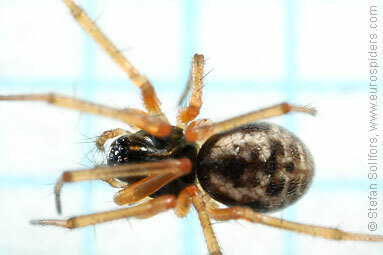 Male obscuriphantes obscurus from above. 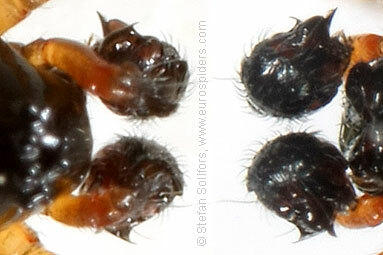 Female obscuriphantes obscurus, showing pattern of abdomen. 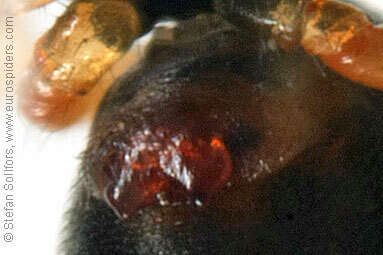 Male obscuriphantes obscurus, close-up of eyes and palps. 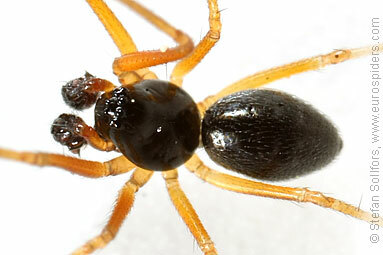 Male obscuriphantes obscurus, side view. 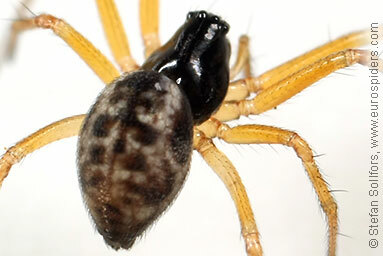 Female obscuriphantes obscurus, side view. Notice the epigyne. 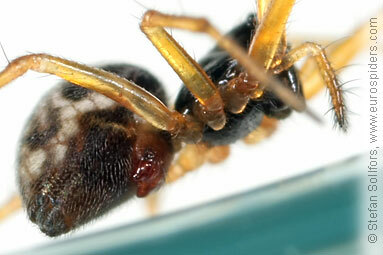 Female obscuriphantes obscurus from below. 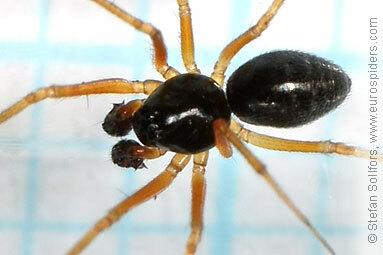 Male obscuriphantes obscurus from below. 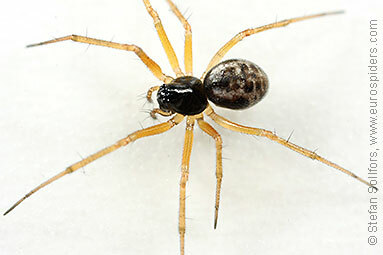 Female obscuriphantes obscurus. Close-up of epigyne. Male obscuriphantes obscurus. 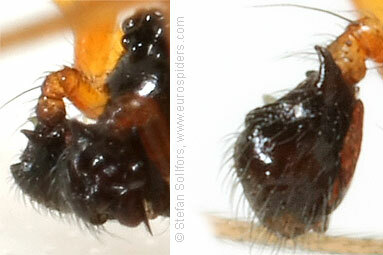 Close-up of palps from above and from below. 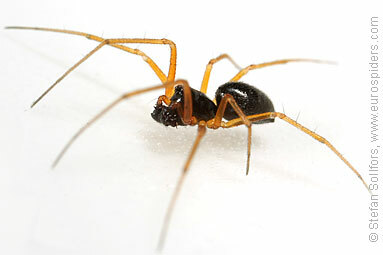 Male obscuriphantes obscurus. 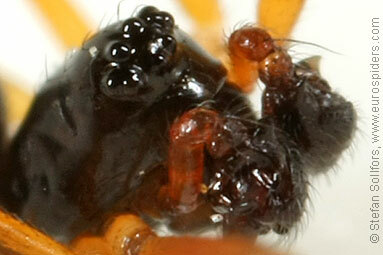 Close-up of palps from the side. 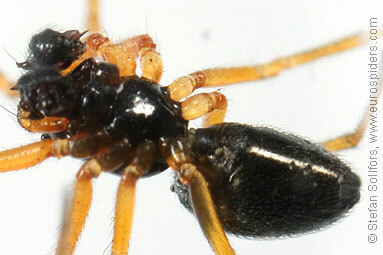 Female obscuriphantes obscurus, about 2 mm. 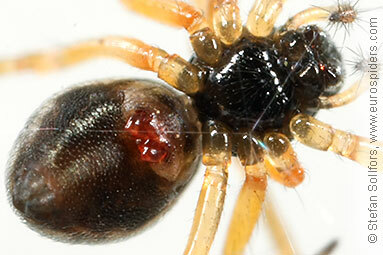 Male obscuriphantes obscurus, just over 2 mm. Obscuriphantes (Lepthyphantes) obscurus. 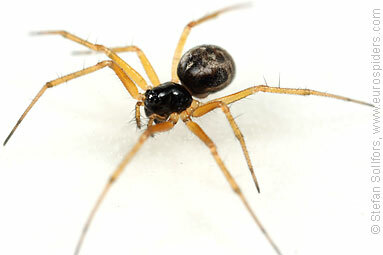 A small but common spider.